Above: Once again, Baltimore officials will head to Las Vegas for the annual conference sponsored by shopping center owners. Seeking to rake in economic development winnings for Baltimore, City Council President Bernard C. “Jack” Young’s office has requested $9,996 in city funds to send a contingent to Las Vegas for the annual shopping center developers’ conference. An item on today’s agenda for the Board of Estimates designates May 18-23 travel and hotel expenses to send Young and two aides, Carolyn Mozell and Danielle Laurenceau, to the International Council of Shopping Centers RECon. The four-day schmoozefest, which attracts thousands of real estate players ranging from brokers, attorneys and lenders to product suppliers, retailers and investors, has been an annual pilgrimage for Baltimore officials for years. What does Young hope to accomplish this time around? “He will work collaboratively with the Baltimore Development Corporation and the mayor to build on conversations they’ve been having about food deserts and bringing development and retail to areas of the city that need it,” said Lester Davis, Young’s director of policy and communications. If the spending board approves the request (as expected), it wouldn’t be the first taxpayer-funded out-of-town travel by Young’s office to get the green light this year. Last month, the board approved $5,900 for Young and an aide to spend four nights in $300 hotel rooms in Washington, D.C. to attend a National Association of Counties conference. 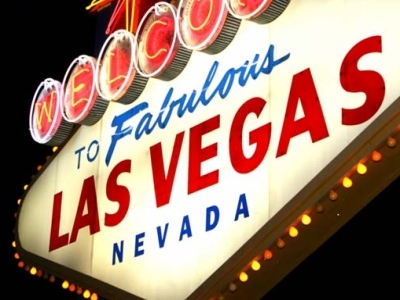 The hotel room cost for Young and his aide at the upcoming Las Vegas conference is $309 per night, according to the Board of Estimates agenda. Other officials who typically attend RECon include the mayor, representatives of the Baltimore Development Corporation and some Council members (last year it was Eric Costello and Sharon Middleton). Staffers come prepared with Baltimore-themed swag, brochures and other promotional material, such as last year’s four-minute “Why Baltimore” video featuring the mayor, local CEOs and aerial footage of Harbor Point, city neighborhoods and the Inner Harbor. Photos from last year’s convention showed Mayor Catherine Pugh greeting Port Covington promoter Marc Weller at the BDC booth. Developers and other high-flyers pay as much as $15,000 to help sponsor the annual “Maryland Party,” which takes place during the conference. Last year, the plush party had a Studio 54 disco theme. But since then, the space that Target vacated has remained empty. Retailers have continued to leave the shopping center, a longtime transit and community hub of the Westside. 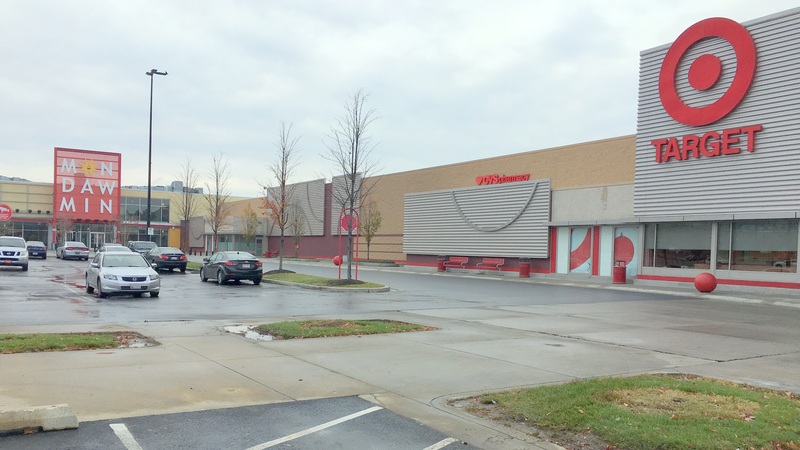 Last month, another Mondawmin anchor, Marshalls, closed its doors. Planet Fitness has announced plans to open an exercise and massage spa there this summer. Also last month, the Rite Aid drug store at the mall abandoned ship. The departures leave a Shoppers grocery store and Ross Dress For Less as the two largest remaining tenants. News of the shuttering of the Target came as a disappointment to many residents, who mourned the loss of a prime source of groceries and quality merchandise for the community. Some, including op-ed writer Eric Stephenson, blamed city leaders for not having included long-term commitments in the subsidies they granted the shopping center’s owners years before.